A minister’s bodyguard broke down in court as he told how he shot Westminster terrorist Khalid Masood dead as he believed "he was going to kill me". 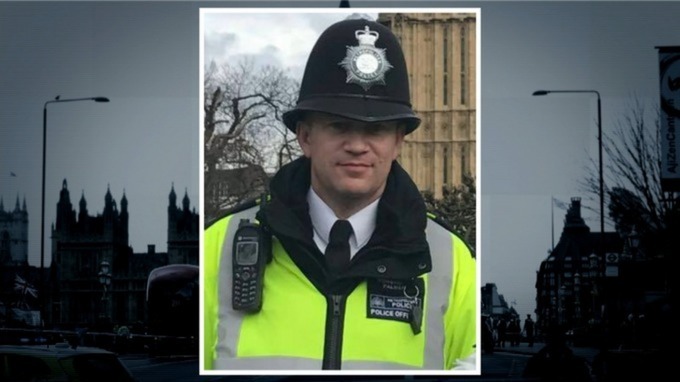 The close protection officer, identified only as SA74, shot the 52-year-old attacker three times with his Glock pistol in the Palace of Westminster on March 22 last year. Masood killed four people and seriously injured 29 others when he ploughed through pedestrians on Westminster Bridge before knifing Pc Keith Palmer to death as he guarded the Carriage Gates. The rampage took just 82 seconds and ended when two close protection officers, who had been waiting for their principal, rushed in with handguns drawn shouting warnings before one of them - SA74 - opened fire. Both were granted anonymity at Masood’s inquest and gave evidence beneath the public gallery in the Old Bailey’s Court One. SA74 said he heard a loud "explosion" as Masood’s car crashed, then heard the shouts of police officers as they ran towards him. "They are very distinctive - and what we are taught from our training I was also aware of a number of uniformed police and members of the public running back towards me," he said. He said Masood was given "clear commands of 'get back'", and continued: "The uniformed police had batons drawn. "The batons were extended and they were frantically moving towards me trying to get away from something or someone." There was a long pause as SA74 said: "I did not know what was happening but I was certain that something terrible was happening." His voice wavered and he was audibly emotional as he continued: "I saw a large black male running purposefully towards me. He was carrying two large knives and I could clearly see that they were covered in blood. "He was going to kill me." He added: "As soon as I saw that threat, my pistol was drawn and I was pointing it at him. After shouting at him to drop the knives and perceiving no change in his demeanour, I fired the pistol. "It was a quick succession of shots fired until that threat was no longer present." His colleague, known only as SB73, told jurors how he risked his own safety to handcuff the attacker and try to save his life while he lay dying on the floor. "At that time he was still breathing. His chest was still rising and falling. He was going grey," he said. "He basically stopped breathing so I started CPR – chest compressions." The witness said he noticed Masood had two gunshot wounds to the torso. Hugo Keith QC, for the Metropolitan Police, suggested to SA74 he had no option but to shoot to prevent Masood killing him and others. He said: "You moved backwards so you were trying to give him the chance to stop before you were forced to open fire but if you had not fired he was so close as to be likely to have killed you?" Mr Keith said: "You had no doubt as to his plan and obvious intention. He never slowed down, changed direction. He kept on coming at you." He pointed out the officer did not even have time to take a careful aim. He added SA74 also carried out his duty to help the mortally injured suspect afterwards. The inquest had heard how the two close protection officers had started their working day at Lambeth headquarters before heading to the Palace of Westminster to meet the dignitary they were responsible for at the start of their shift. The jury was shown dramatic CCTV of the pair running through New Palace Yard towards the threat, moments after Masood had fatally stabbed Pc Palmer. SA74 could clearly be seen to step back while Masood came forward towards him before being shot. The officers’ bodies and faces were blurred out but their mouths, open and apparently shouting at the suspect, were visible as well as their outstretched arms, each holding a gun.